Tigera, a San Francisco-based startup that helps businesses connect and secure their container-based applications, today announced that it has raised an additional $10 million in a funding round led by Madrona Venture Group, with participation from New Enterprise Associates (NEA) and Wing Venture Capital. Madrona managing partner Soma Somasegar will join the company’s board of directors. With this, Tigera has now raised a total of $23 million. As enterprises have started to adopt containers and the microservices model they enable, it’s become increasingly clear that the complexity of managing and securing these remains an issue. That’s especially true for large enterprises that want to integrate these “cloud native” capabilities into their existing infrastructure or as part of a multi-cloud strategy that can include both public and private clouds. Tigera offers these enterprises a solution for secure application connectivity based on its CNX platform. CNX combines a service mesh (based on the Istio project) with management, security and networking solutions (based on Project Calico). The service puts an emphasis on securing the applications — and not just the infrastructure underneath it. 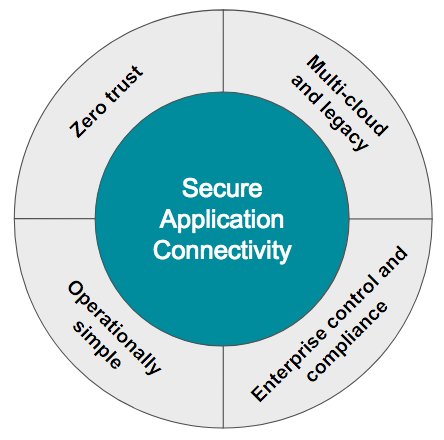 It’s basically a Zero Trust approach to application connectivity. The good old firewall that used to protect your intranet isn’t going to be of much use when your applications live on multiple clouds, after all. All of the large cloud providers have already integrated Tigera’s open-source tools as the network policy provider for their managed Kubernetes container engines, including AWS, Microsoft, Google and IBM. Like most enterprise companies, Tigera wasn’t able to disclose its customers, but Wright tells me that they include “two of the largest SaaS companies,” as well as two large financial services companies and a large automotive company.